These handcuffs can backload, making easy fast deployment in dangerous situations. The bows have a flat edge which means when speed cuffing someone (slapping them on the wrist) the force is not on a tiny area where the bow curves, since the force is distributed through a larger area where the flat area of the bow contacts with the wrist. 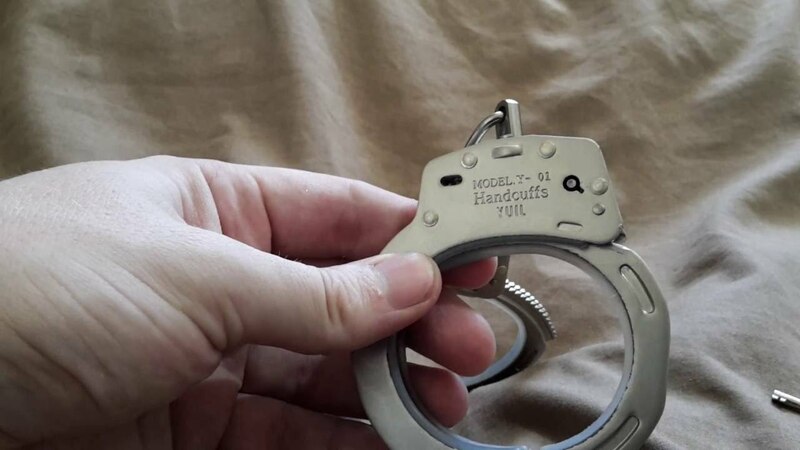 Very thoughtful designed handcuffs. They have two pawl bars with a metal dividing split throughout the cuff, making shimming very difficult because shims would need 2 prongs to get around the metal divider. If that wasn't enough, they added sharp edges on the inner area near the pawl teeth so that even if you force a shim down there, it will get caught on the teeth and never reach the pawl! You may fit a normal key in the keyway but it will not turn in either direction enough to either unlock the single lock OR the double lock, which is a good security feature because this means you require the correct special key. While the key is somewhat thin and easy to assume that it would break, the spring in the cuffs is not too tight, so gentle key turns will unlock the handcuffs so that it is no concern. 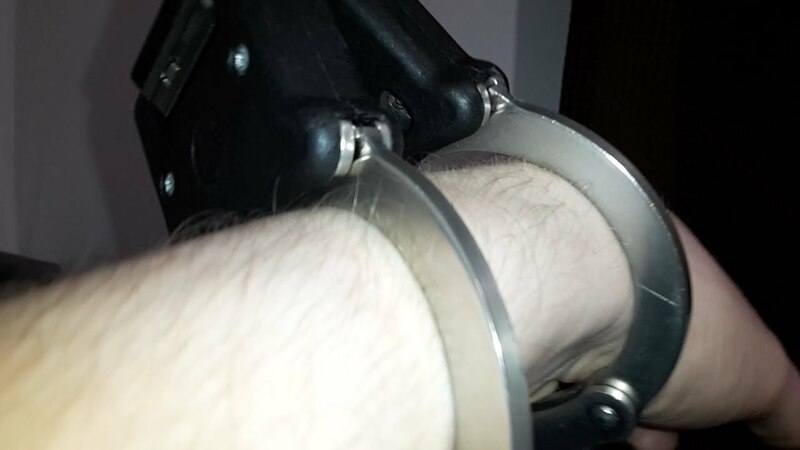 Very smooth working cuffs, although I will likely have to break them in on one side where you unlock the double lock.